Attributes: Spicy with a horseradish bite! Nutrition: One cup of mustard greens yields over 500% the daily value of vitamin K, 85% of your daily vitamin A, 60% of vitamin C, and high levels of folates, manganese, dietary fiber, calcium, and a bit of protein (data found here). Storage: Keep dry, unwashed greens in a sealed plastic bag in your refrigerator. Will keep for 1-2 weeks. Nutrition: One cup of raw kale has 3 grams of protein; 2.5 grams of fiber; vitamins A, C and K; folate, a B vitamin that is key for brain development; alpha-linolenic acid, an omega-3 fatty acid; lutein and zeaxanthin, nutrients that give kale its deep, dark green coloring and protect against macular degeneration and cataracts and minerals including phosphorus,potassium, calcium, and zinc (data found here). 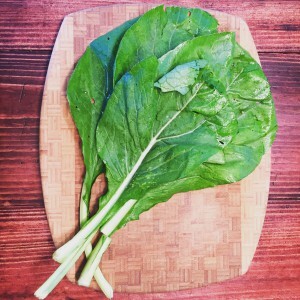 Attributes: This variety of spinach has a red tint to its stem and veins, but is otherwise much the same as the all-green spinach you know from the Popeye cartoons. 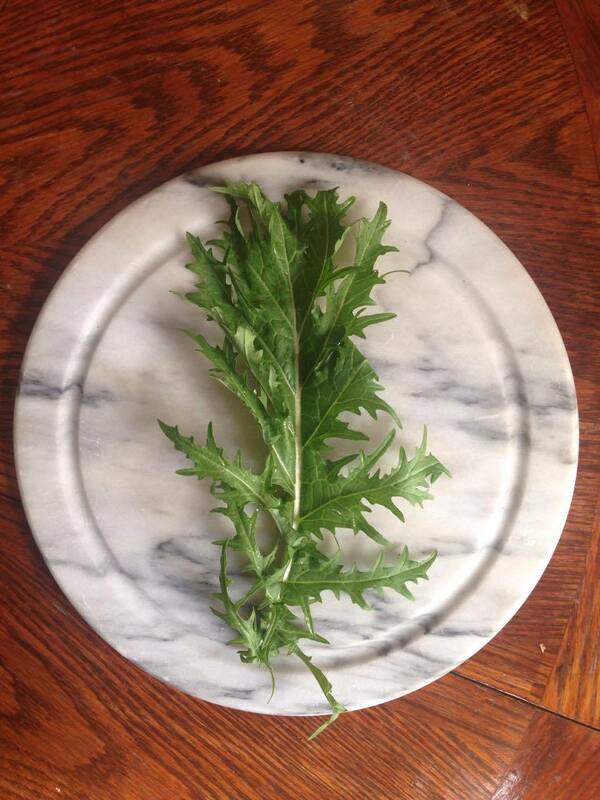 The tender green leaves have a mild, sweet taste that blend well into a variety of cuisines. Nutrition: Spinach is a nutritional powerhouse, with just 23 calories per 100 grams and rich in Vitamin A, Vitamin C, Vitamin K, magnesium, manganese, iron and folate. Storage: Store spinach wrapped in paper towels — damp or dry — in resealable plastic bags. It will keep for 1 week in the fridge before it starts to wilt, at which point it would be perfect in a soup or casserole! 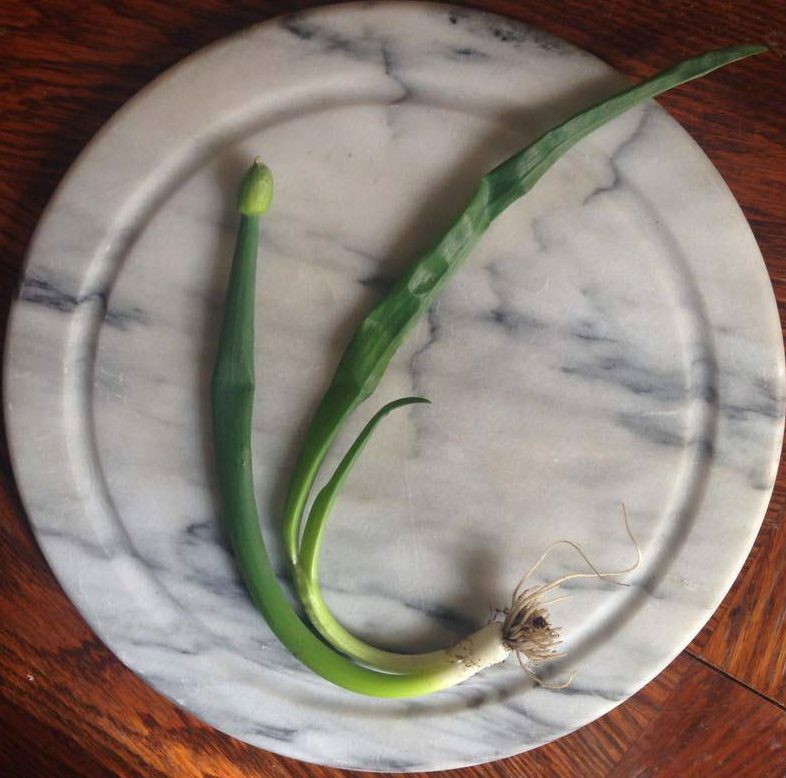 Attributes: Scallions, also known as green onions , have long tender green leaves extending from a small white root bulb. They have a flavor similar to full size white or yellow onions, though milder. Both the bulb and the greens are edible raw or cooked in salads, soups, casseroles and more. Asian cuisines especially call for the leaves, although scallions can be found in different dishes all over the world. Nutrition: Scallions are rich in antioxidants and carry many of the same health benefits as other plants in the allium family, such as garlic. They are rich in Vitamins C and K, with just 100 g of fresh scallion greens delivering about 172% of your daily recommended Vitamin K. They are also rich in niacin and foliates, making this veggie a great choice for expecting mothers. Storage: Place in a jar bulb side down with just enough water to cover the bulbs halfway and set on your windowsill. Change the water every few days. Alternatively, wrap the green leaves in a damp paper towel and place bulb and all into a sealed plastic bag in your refrigerator for 1 week. Attributes: Green okra has a torpedo-shaped pod ranging in length of five to six inches when harvested mature. The pods are pale lime to lime green color, their exterior has furrowed lengthwise grooves. The skin can often be fuzzy to prickly, which can cause an allergic reaction to sensitive skin. The flesh bears a tender spongy membrane with many small white seeds. 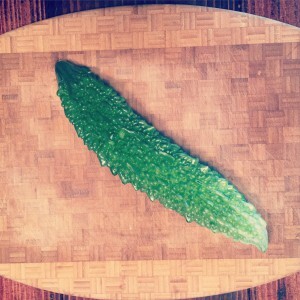 Okra is known less for its lean flavor and more for its sticky sap that creates the flesh’s gelatinous texture. 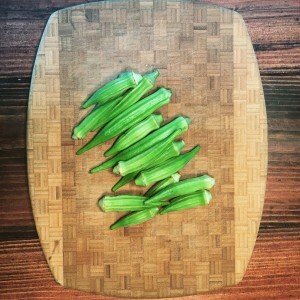 Nutrition: Okra is low in calories: one cup of raw okra only has around 30 calories. One cup has a whopping 66% RDA of Vitamin K! Okra is also high is calcium, fiber, vitamin C, protein, folate, manganese and magnesium (data found here). Storage: Store unwashed in a plastic or paper bag for 1-2 weeks. Attributes: Mild, great for eating raw, can eat greens as well. 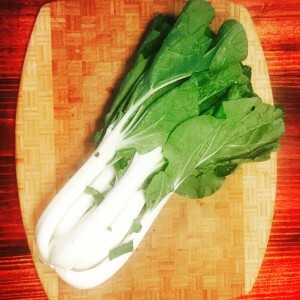 Nutrition: Daikon Radish are rich in Vitamin C, folic acid, and potassium as well as low in calories and high in dietary fiber (data found here). Storage: Store radish bulbs and greens separately, with the greens unwashed and wrapped in a paper towel inside a plastic bag or container. The bulbs will last 1-2 weeks and the greens will last 3-4 days. Attributes: The radish is grown mainly for its root, a small, scarlet globe with a crisp and peppery, translucent, white flesh. Their roots range in diameter from one to three inches. The radish produces green leaves that grow from the root above ground, which are also edible. They have the texture of watercress and a bit of its flavor, but with a great mustardy bite as well. Nutritional Information: Radishes are an excellent source of Vitamin C.
Storage: Store radish bulbs and greens separately, with the greens unwashed and wrapped in a paper towel inside a plastic bag or container. The bulbs will last a week or more and the greens will last 3-4 days. Attributes: Komatsuna is a dark green leafy vegetable which is used mainly in Japan, Taiwan and Korea. Also called Japanese mustard spinach. It is part of the brassica family of vegetables and is the leafy form of the wild turnip. The flavour is described as similar to spinach. 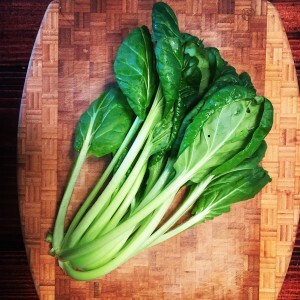 Nutrition: This Asian green is high in Vitamins A and C, an excellent source of calcium and contains more iron than spinach. 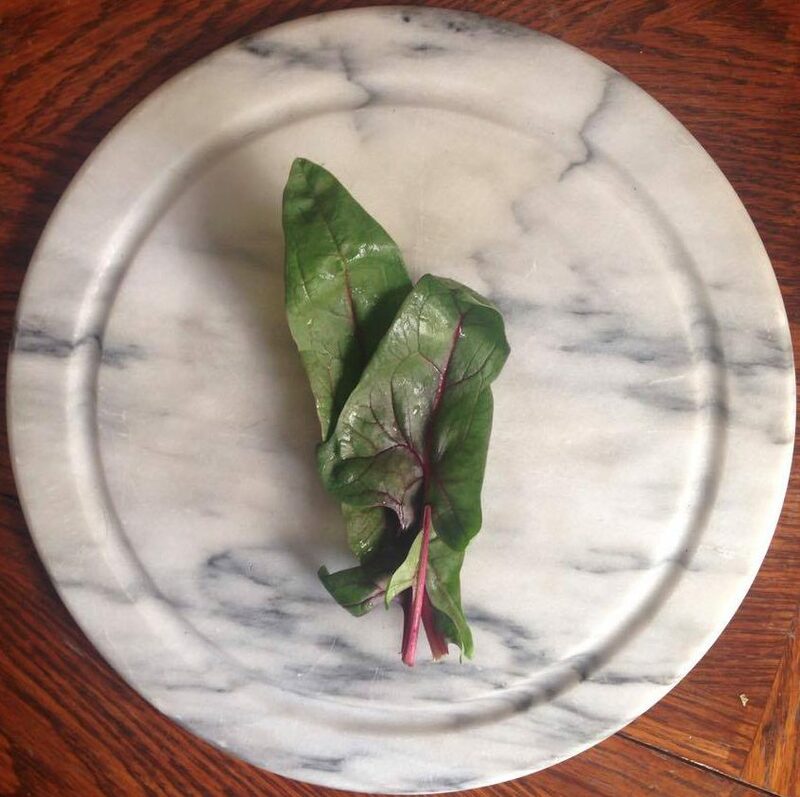 Attributes: Belongs to same family as beets and spinach with a similar earthy flavor. 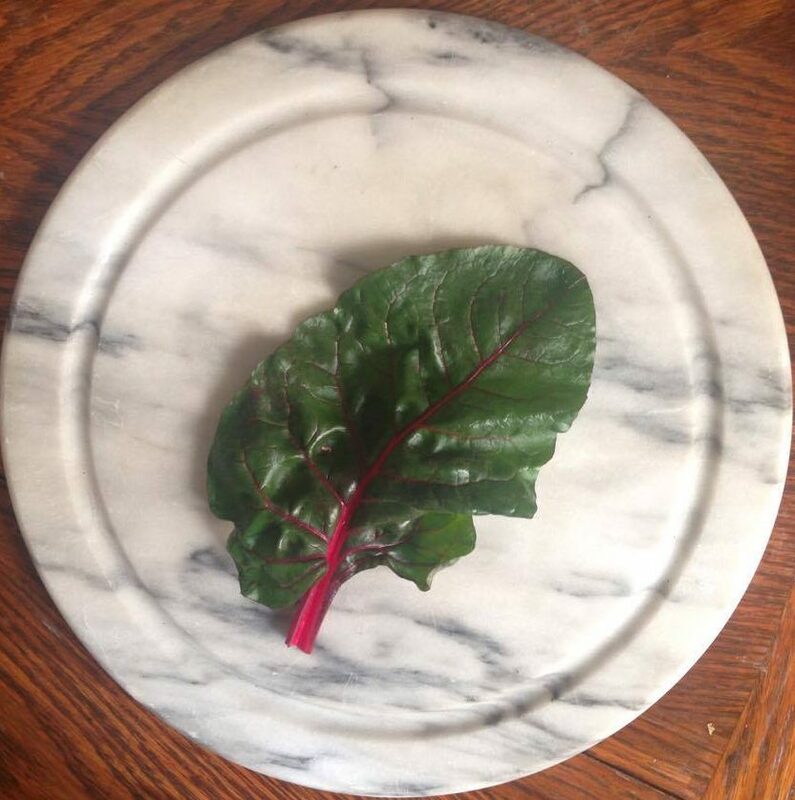 Nutrition: Chard is known to be a nutritional powerhouse vegetable packed with vitamins, nutrients and health benefits. Rainbow Swiss chard contains high levels of vitamins C, K, E, beta-carotene and the minerals manganese and zinc. As noted, it also contains betalain. Betalin pigments have repeatedly been shown to support activity within the body’s detoxification process, activating and processing unwanted toxic substances. Betalians are not heat-stable, though, so longer cooking times can decrease their presence (data found here). Attributes: Leaves are mild and can be cooked and eaten like spinach and the crisp stems are sweet and mild. Storage: Refrigerate unwashed in a plastic container or loosely wrapped in a plastic bag. Keeps for over a week but is firmest and tastiest if used within a few days. 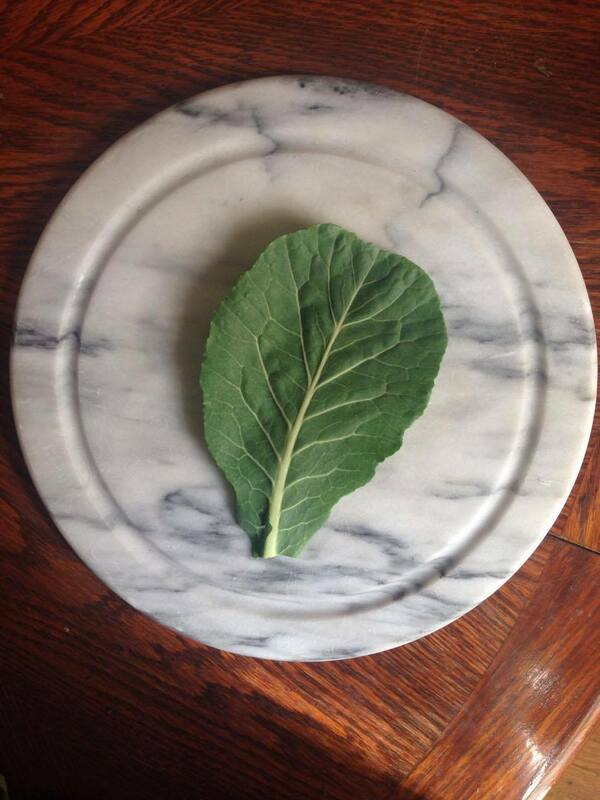 Attributes: Collards are assertive, almost alkaline and true to its family, cruciferous in nature. Collard greens should be chewy in texture, a sign of good water content and freshness. 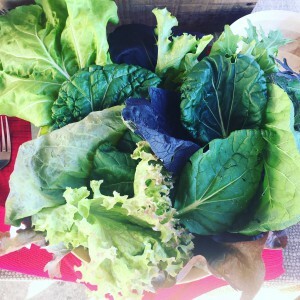 Late winter and early spring provide the sweetest and most tender Collard greens. 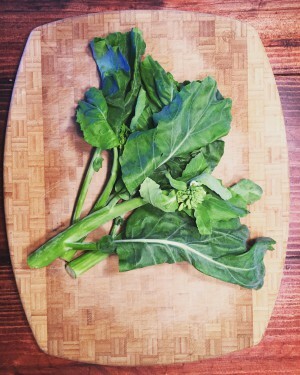 Nutrition: Collard greens are loaded with health benefiting vitamins and compounds. They contain anti-inflammatory properties in the form of Omega-3 fatty acids and Vitamin K. They also contain the antioxidants beta carotene, Vitamins C and E and detoxifying glucosinolates, compounds that are being studied for their abilities to prevent cancer as well as cardiovascular disease (data found here). Attributes: Milder and sweeter with a spongier texture when compared to other cabbage. Nutrition: Napa cabbage is loaded with antioxidants, folates, Vitamin C, Vitamin K and soluble and insoluble fiber (data found here). Storage: Store unwashed cabbage in a plastic bag in the refrigerator crisper drawer. It will keep for about a week. 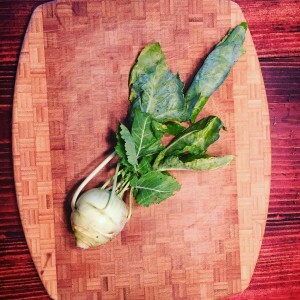 Attributes: Kohlrabi tastes like a mild, sweet turnip with a bit of radish tang. Young kohlrabi is juicy, crisp and delicate. Nutrition: Kohlrabi is high in vitamin C and a good source of both fiber and potassium. This nutrient-dense bulb also contains high amounts of phosphorus, magnesium, calcium and iron (source link). Storage: trim the leaves close to the bulbous portion (which is really a swollen stem, not a root bulb). 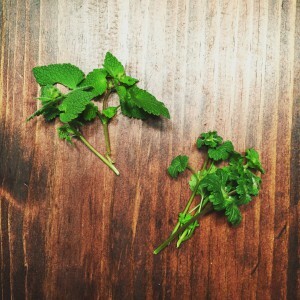 Then trim off the stems from the leaves. Store the leaves in a ziploc bag with a damp paper towel and store the bulbous stem in separate ziploc bag without a paper towel. Both will keep for a week if stored properly in your crisper drawer. Attributes: Crunchy, sweet and mild. Nutrition: Red Leaf lettuces contain substantial levels of anthocyanins, they inherently contains health boosting antioxidants. Anthocyanins have some of the strongest physiological effects of any plant compounds. Anthocyanins’ health benefits include anti-flammatory and anti cancer properties as well as diabetes preventative qualities (data found here). Storage: store unwashed head of lettuce in the plastic bag in the refrigerator crisper drawer for 3-5 days. Alternatively, chop, wash and thoroughly dry the leaves and store in a large container lined with paper towels for 7-10 days. Nutrition: Arugula is a nutrient rich leafy green providing vitamin A, vitamin C, vitamin K, calcium, magnesium, riboflavin, copper, iron, zinc, folate and potassium. Cruciferious vegetables such as arugula are also high in antioxidant phytochemicals and rich in sulfur containing compounds known as glucosinolates which have been shown to have detoxifying properties and may be beneficial in the prevention of certain types of cancer (data found here). Attributes: Spicy when harvested in warmer weather but will tame down a bit when the temperatures drop. Attributes: Carrots can be shades of orange, yellow, purple and white. Their flesh is snappy and crisp. Their flavors, quintessentially earthy and sweet with notes of celery. 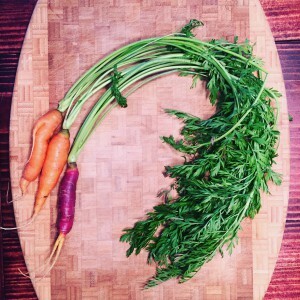 Though carrots are most often found trimmed of their thin, dill-like foliage, their greens are equally edible, with herbaceous carrot and parsley undertones. Nutrition: Carrots provide the highest content of vitamin A of all the vegetables. Brightly orange colored carrots contain the pigments known as carotenoids and flavonoids, two important phytochemicals and natural bioactive compounds found in plant foods that provide several antioxidant benefits and defenses against cancer. Storage: Remove greens from the root and store each separately. Storage: Store unwashed greens in the plastic bag in the refrigerator crisper drawer for 3-5 days. Alternatively, chop, wash and thoroughly dry the leaves and store in a large container lined with paper towels for 7-10 days. Attributes: Green cabbage has tightly enveloped superimposed pale green leaves, with variations of pea green colorings. Their thick, broad, deeply veined and waxy in their finish. 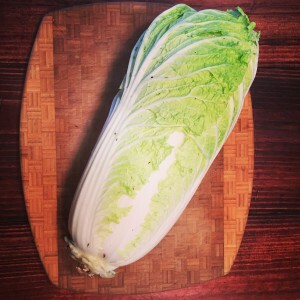 The flavor of Green cabbage is grassy, sweet and cruciferous, a trademark characteristic of cabbage. 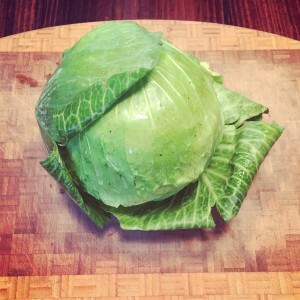 Green cabbage can reach six to seven inches in diameter and weigh up to 10 pounds. Nutrition: Cancer prevention tops all other areas of health research with regard to cabbage and its outstanding benefits. More than 475 studies have examined the role of this cruciferous vegetable in cancer prevention (and in some cases, cancer treatment). The uniqueness of cabbage in cancer prevention is due to the three different types of nutrient richness found in this widely enjoyed food. The three types are (1) antioxidant richness, (2) anti-inflammatory richness, and (3) richness in glucosinolates. Storage: Wrapping cabbage in plastic and storing it in the crisper section of your refrigerator limits its exposure to air flow, and thus reduces respiration and retards spoilage. Just as importantly, plastic wrap keeps external moisture out, preventing mold and rot, while helping the cabbage to maintain its internal (cellular) moisture—without which, the cabbage leaves lose their firmness and begin to wilt. Attributes: Tatsoi is a small low-growing plant that forms a rosette of petite leaves with short pale lime green stems. Its spoon-shaped, near seaweed green colored leaves are glossy with a buttery, tender and succulent texture. Fresh tatsoi displays sweet and tangy flavors with a mineral finish. Once cooked, it develops a warm earthiness similar to spinach. 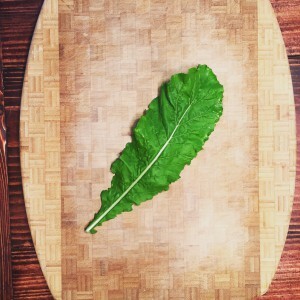 Nutrition: One cup of tatsoi contains just about 30 calories, meets your daily needs for Vitamin A (important for healthy eyesight) and Vitamin C (for proper immunity), contains a heaping helping of folate (essential for pregnant women), and has smaller amounts of many other vitamins and minerals. Storage: Store unwashed head of tatsoi in the plastic bag in the refrigerator crisper drawer for 3-5 days. Alternatively, chop, wash and thoroughly dry the leaves and store in a large container lined with paper towels for 7-10 days. 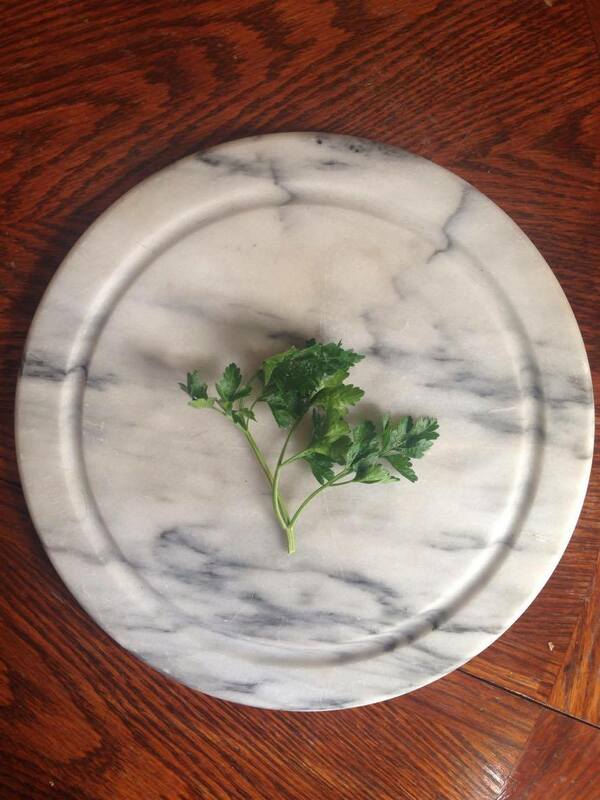 Reserve the stems and add to a saute if desire. Attributes: Bitter melon is long and slender, similar to the shape of a standard cucumber with a rough, warty edible skin and off-white translucent crisp and bitter flesh bearing flat white bitter seeds. The fruit is harvested, young when still green. As the fruit matures, the skin turns bright orange and the flesh increases in bitterness. Ripe fruits are saved for their seeds and replanted. The Bitter melon is considered the most bitter of all fruits. Its bitterness can be tempered by soaking the fruit or cooking it. Nutrition: Bitter melon advocates boast its amalgam of health benefits. It is rich in iron, contains twice the beta-carotene of broccoli, twice the calcium of spinach and twice the potassium of banana. Storage: Keep the bitter melon wrapped in a paper towel in a perforated plastic bag in the vegetable drawer of the refrigerator for 4 to 5 days. Bitter melons do not freeze well. Attributes: Romaine lettuce is the most upright growing of all lettuce types. Its heavily ridged leaves grow erectly and tightly to form an elongated head. Its outer leaves, rich in chlorophyl have lime colors while its inner leaves are yellow to creamy. Its blanched heart becomes translucent white at its core. 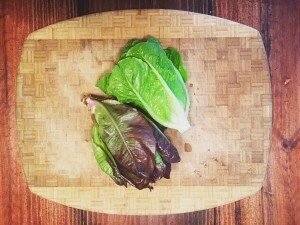 Romaine lettuce has more texture than flavor. 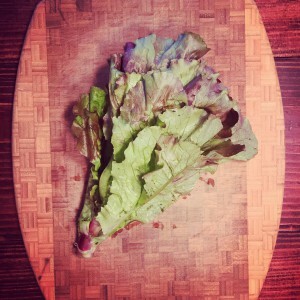 Its leaves are substantial, crunchy and succulent with a mild flavor that allows Romaine lettuce to be a very versatile culinary green and multipurpose ingredient in the kitchen. Nutrition: Romaine lettuce a very good source of dietary Fiber, vitamin A, vitamin C, vitamin K, thiamin, folate, iron, potassium and manganese. Romaine is also low in saturated fat and sodium, and very low in cholesterol. It is also a good source of riboflavin, vitamin B6, calcium, magnesium, phosphorus and copper. 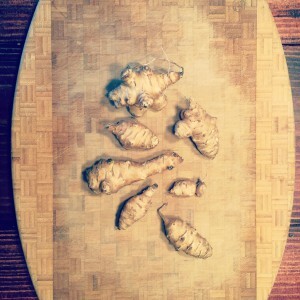 Attributes: Sunchokes are best described as thin-skinned, knobby, potato-look-a-likes. The tubers are the root stem of a variety of sunflower that can grow up to ten feet tall with smallish yellow flowers. Related to daisies, the sunflowers grow anywhere but in wetlands and marshes. Sunchokes have “eyes” similar to potatoes, some varieties are smooth whereas others are more knobbed. The tubers have a light-beige to tan-colored skin. The crisp, ivory flesh of the Sunchoke has a texture similar to water chestnuts and a sweet, nutty flavor. Nutrition: The inulin-rich Sunchokes contain no other type of carbohydrate, which is perhaps why some call it “the potato of diabetics.” The sunflower tubers are also high in fiber and have more potassium than most other vegetables. Attributes: Escarole has broad, slightly curly, pale green leaves with a nutty, bitter taste similar to that of curly endive only with a less bitter bite. The fleshy, dark, outer leaves are more bitter in flavor than the lighter, inner leaves. Cooking will somewhat mellow the bitter flavor of Escarole. 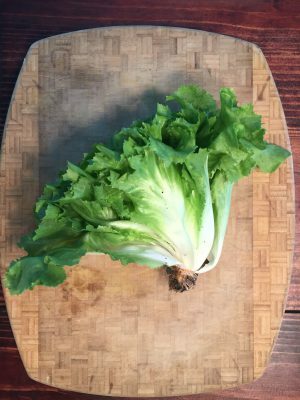 Escarole has a crunchy, crisp texture and holds its shape well even when cooked. 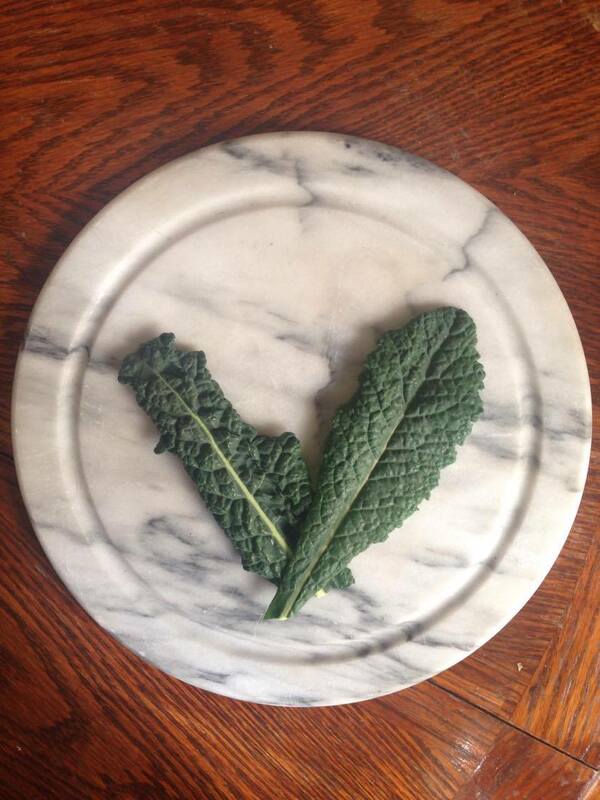 Nutrition: Escarole is high in vitamin A which studies have shown can reduce the risk of osteoporosis and cancer. It is also high in vitamin K which aids the body in blood clotting. In addition it contains significant amounts of folate, vitamin C, dietary fiber, calcium, potassium, iron and antioxidants such as flavonoids and lutein. Attributes: Although Gai Lan varies slightly from one variety to the other, each plant produce thick green stems and branches with glossy variegated blue green to deep green leaves. When the plant matures they produce underdeveloped flower buds. The younger plants have crisper tender stalks and leaves. 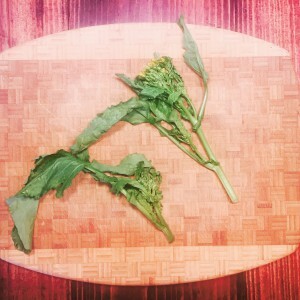 Gai Lan has a flavor similar to broccoli, both bitter and sweet. Its flavor mellows with cooking. Attributes: Spigarello broccoli are wavy edible greens with thin fibrous stems. At peak maturity the greens will produce edible flowers but never large floret heads like common broccoli. The flavor of Spigarello is mild, slightly grassy and sweet and void of the bitterness often associated with field greens. 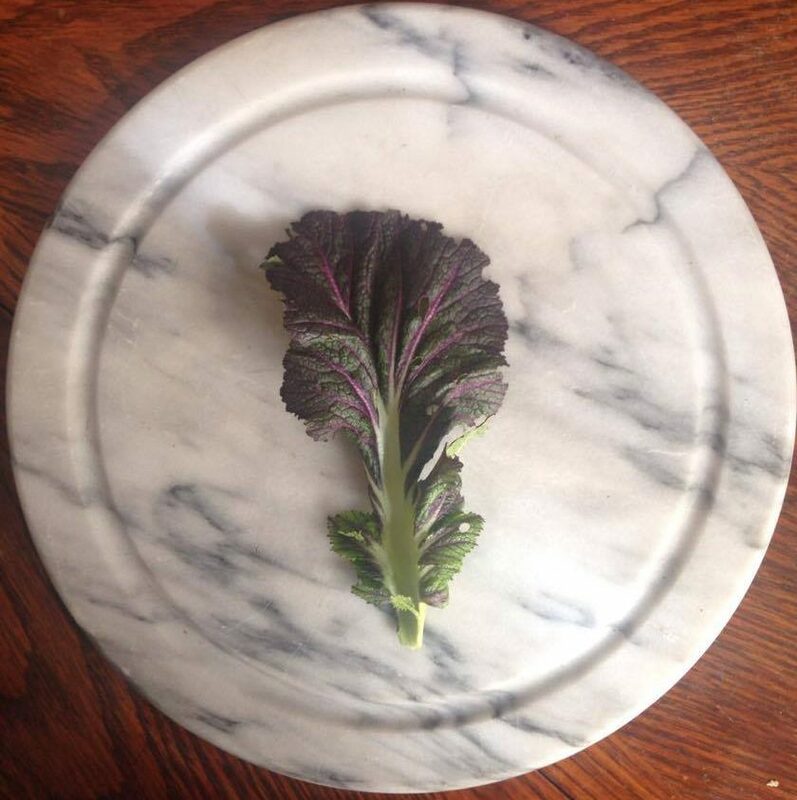 Its texture is tender, succulent and crunchy.